I am sure you are ahead of the game by now and I am little late to the party but HELLO, how awesome is it that the Day Designer for Blue Sky recently release at Target! I have been using the original Day Designer for awhile now and I love it! I had the opportunity to team up with Blue Sky and try out some of the Day Designer styles that are available at Target and I love them all for different reasons. 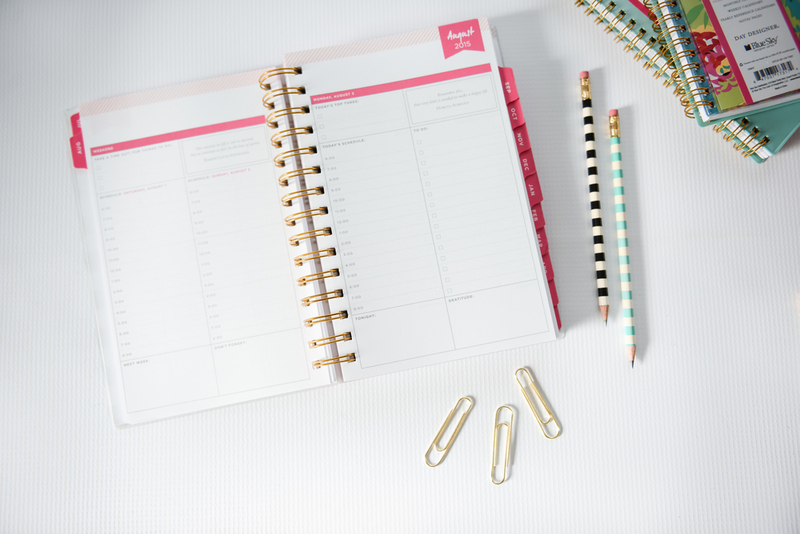 I like that each of the planners have different options when it comes to weekly/monthly or if you are a daily girl, then there is a planner for you as well. The daily planner has the to do list option which is one of my favorite features and keeps me on task and productive during the day. Another great feature is the variation in sizes. I think it's so great that this line comes in different sizes so if you are looking for a smaller planner to throw in your purse then you have a lot of different options but still have the same very stylish look. There is also a soft cover planner option that comes in a really fun pink and has a fun black and white ribbon to mark your months. This one is probably my favorite planner of them all from the line and it's spacious enough more for writing and of course, adding washi tape! 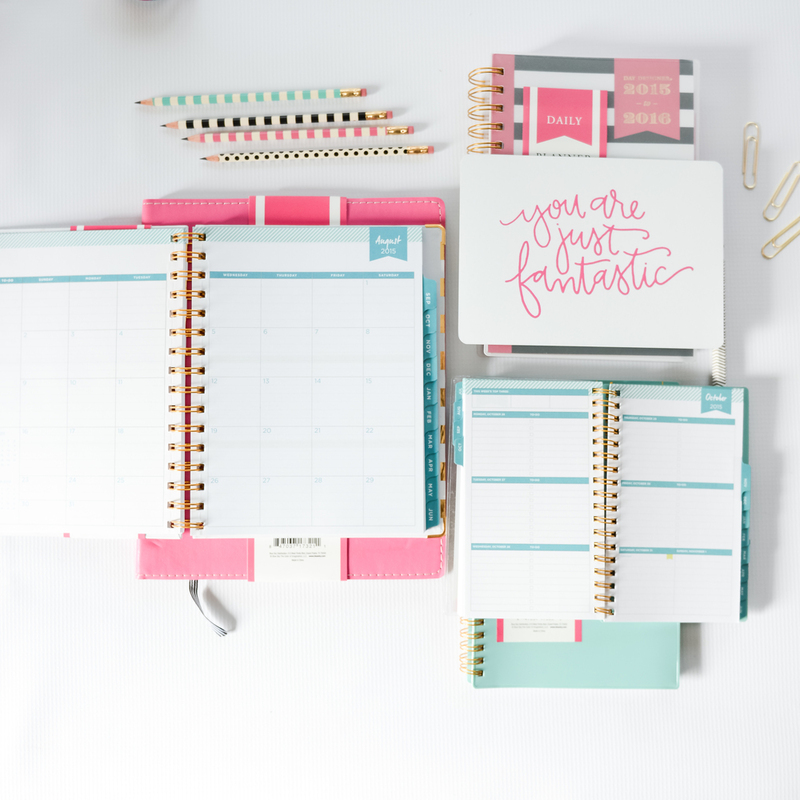 And because sharing is caring, if you don't live near a Target or weren't quick enough to snag your own planner, head over to my Instagram account for your chance to win one!